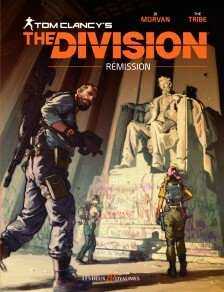 In the video game The Division 2, a devastating virus takes over the city of Washington, cutting off access to indispensable services like water and food sources. The Division is the secret unit sent to manage the quickly mounting chaos caused by looters and violent factions. In this comic book, Bruce, a Division operative, finally finds out the truth behind a childhood drama, while interacting with two of his friends who have made different choices in this brutal new world.